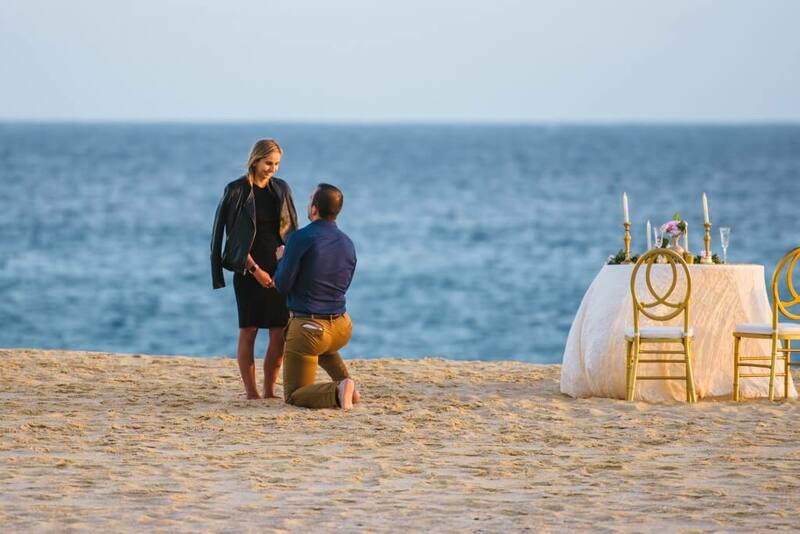 It’s a moment you’ve dreamed of and anticipated all your life: either as the proposer, kneeling and unveiling the sparkling diamond engagement ring to your true love; or as the proposed, surprised and swept off your feet by the promise of marriage. If you’re the latter, there is no need to prepare for this life-changing moment. It’s meant to come as a surprise. If you’re the former, however, planning is crucial, even if you’re confident you’re going to get the answer you want when you pop the big question. This is a moment that will be remembered and relived throughout your marriage. You want to get it right. You want it to look and feel like a special moment, because it is…every bit as special as the marriage vows to follow. And if you’re not confident of the answer you’ll get when you take that knee, where and how you propose can make all the difference in the world. 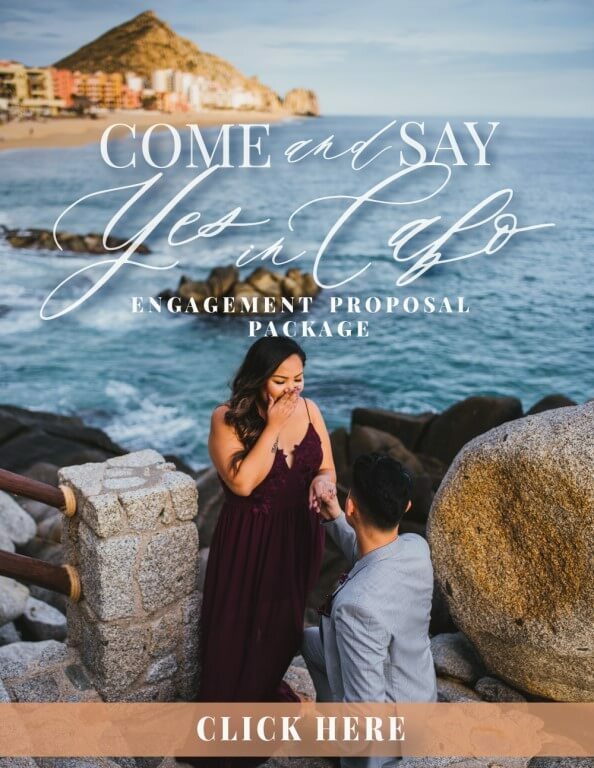 With that in mind, here are three tips to seal your destination engagement in Cabo San Lucas. Our process starts with a one-on-one consultation (we’re committed to close working relationships with our clients, and take pride in our quick responses to queries and questions) in which your dedicated planner will tease out your vision for the perfect proposal. From there, we’ll start the transition from vision to reality by means of timelines, digital renderings and three-dimensional floor plans, before finally helping you pull off the biggest moment of your life with smooth precision and seamless production. 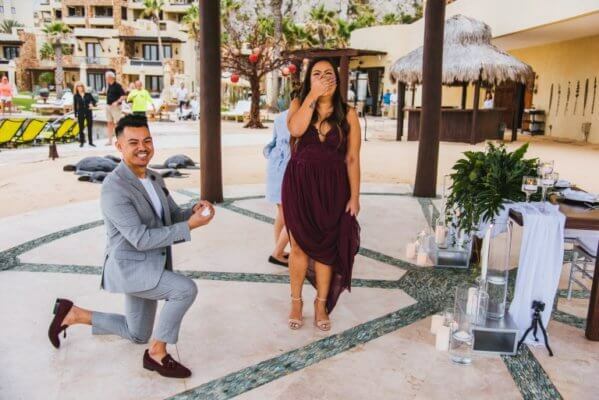 “Melissa’s craft and attention to detail made our proposal day absolutely perfect. My fiancé says it was more than she could have ever dreamt of. She definitely brought out my vision and went far above and beyond what I expected. 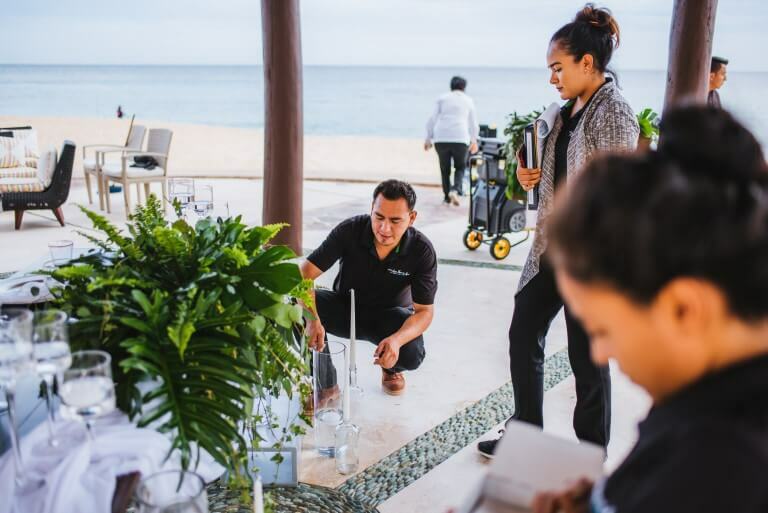 I’m forever grateful for her assistance and she’s truly earned my business if we decide to do a destination wedding here in Cabo. The team she was able to build around this special moment were all such a pleasure to work with. Her local network or professional decorators, photographers, and videographers were all so passionate about their work. It definitely shows in the photos and trailer of our full video. 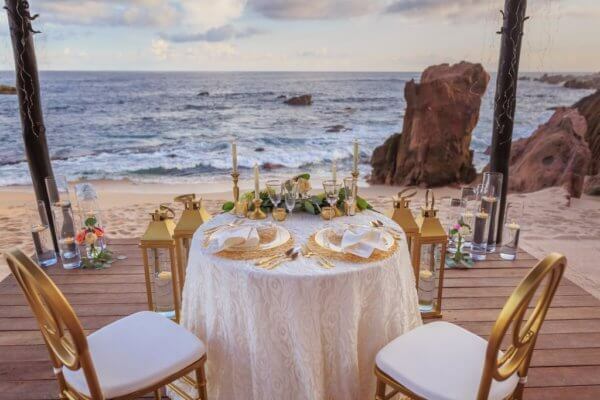 Many many thanks to Oswaldo, Lands End Films, and Cabo Linens for the seamless execution. Very professional, friendly, and easy to work with. The whole team has an amazing eye and I can’t wait to see the finished video. Melissa was very accommodating of ALL my requests and the collaboration was as easy as it could be. 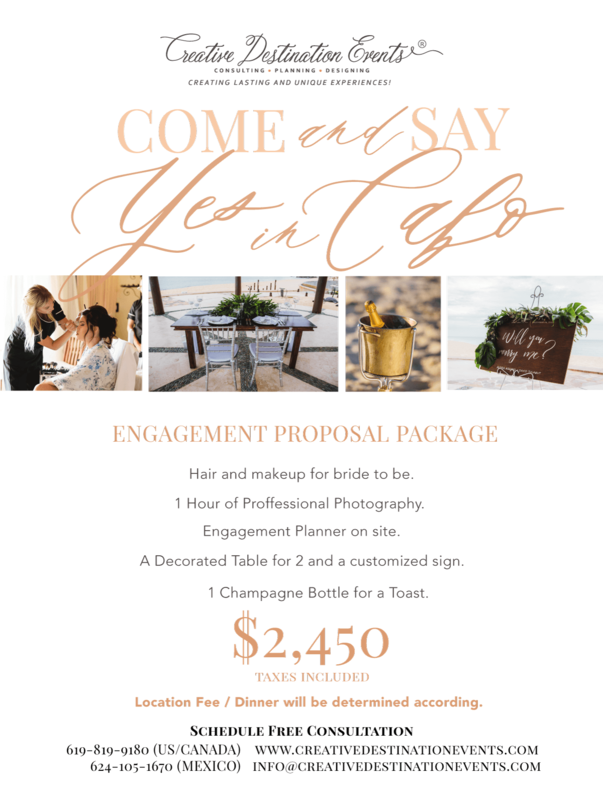 She is amazing at what she does and I’m glad I reached out to Creative Destination Events for my proposal. I highly recommend collaborating with Melissa for your next event, big or small.